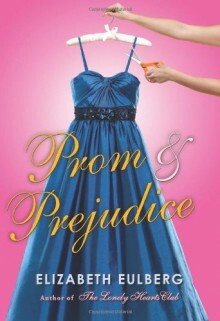 From the much-buzzed-about author of THE LONELY HEARTS CLUB (already blurbed by Stephenie Meyer, Lauren Myracle, and Jen Calonita), a prom-season delight of Jane Austen proportions.It is a truth universally acknowledged, that a single girl of high standing at Longbourn Academy must be in want of a prom date. After winter break, the girls at the very prestigious Longbourn Academy become obsessed with the prom. Lizzie Bennet, who attends Longbourn on a scholarship, isn't interested in designer dresses and expensive shoes, but her best friend, Jane, might be - especially now that Charles Bingley is back from a semester in London. Lizzie is happy about her friend's burgeoning romance but less than impressed by Charles's friend, Will Darcy, who's snobby and pretentious. Darcy doesn't seem to like Lizzie either, but she assumes it's because her family doesn't have money. Clearly, Will Darcy is a pompous jerk - so why does Lizzie find herself drawn to him anyway? As I love Pride & Prejudice, it's not really shocking I enjoyed this re-telling. It was light, happy, and a quick read. That was a super quick read. It had cute parts but overall it was more or less just an episode of a CW show built on P&P.